Smaller in size than a ES-335 or Casino, the Epiphone ES-339 PRO is a semi-hollowbody guitar with a character all its own. Discerning guitarists have long celebrated the warmth and sustain provided by a ES-style semi-hollowbody, and the ES-339 PRO does an outstanding job maintaining this character while introducing a fresh set of features. The smaller body size is extremely comfortable to play, and the reduced weight makes this a great choice for live gigs and tours. 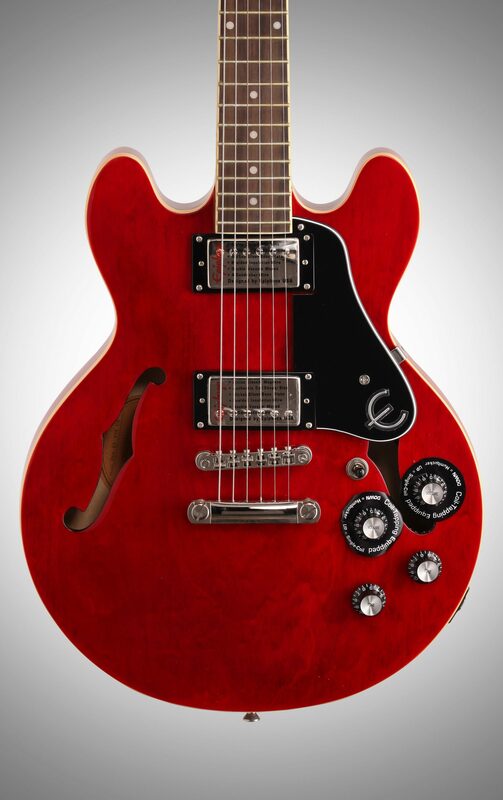 With this release, Epiphone has outfitted the ES-339 with versatile Classic PRO humbuckers pickups which feature push/pull coil-tapping options to get the tone of a single-coil as well as a humbucker. 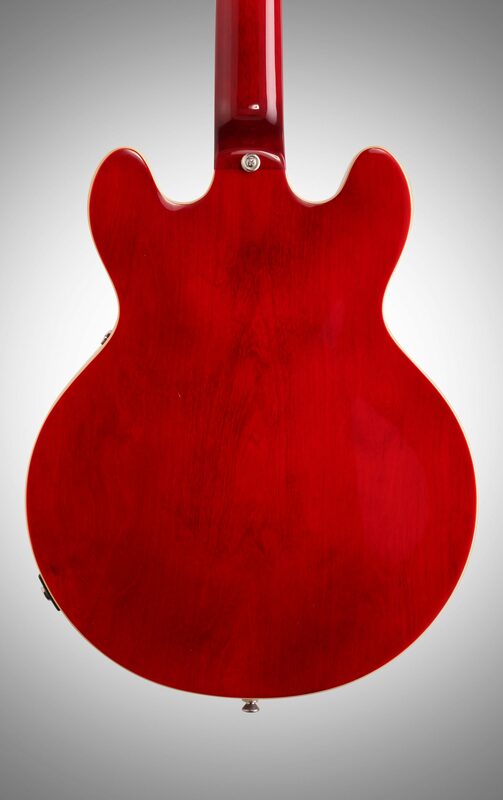 Though semi-hollowbodies are first and foremost jazz guitars, the tonal possibilities created by the unique configuration of the ES-339 make it an outstanding choice for rock as well. 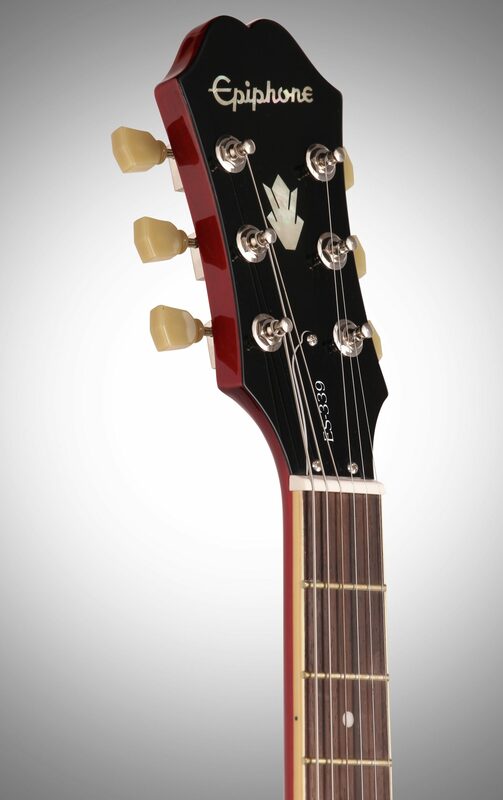 The hallmark of the ES-339 is a retention of classic semi-hollowbody tone with a fresh design and shape. By diminishing the width of the upper bout of the guitar, the hollow cavities are reduced in size which gives the ES-339 a bit of a tighter sound and helps reduce feedback. Adding to the tonal versatility, the ES-339 includes push/pull coil-tapping switches which combined with a three-way pickup selector provide a wide array of electronic configurations to choose from. The ES-339 wields dual Alnico Classic PRO pickups built into a solid center-block adding some solid-body crunch to the openness of the hollowbody design. 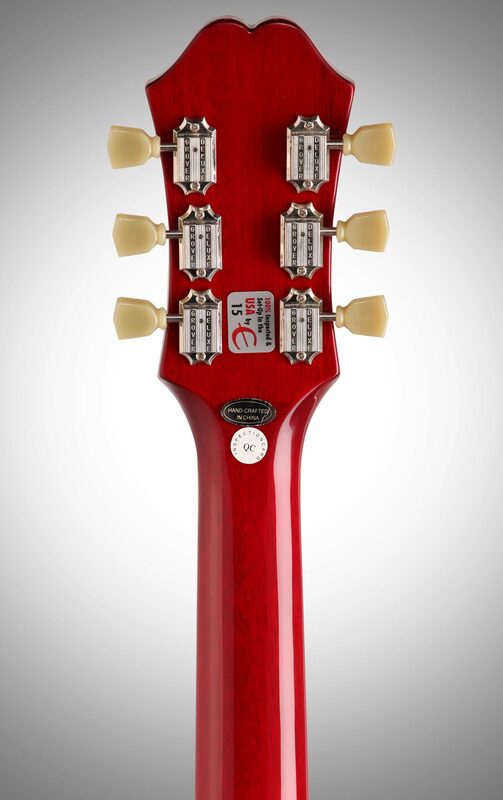 Built from laminated maple with a SlimTaper (tm) mahogany neck, the Epiphone ES-339 one seriously versatile instrument. 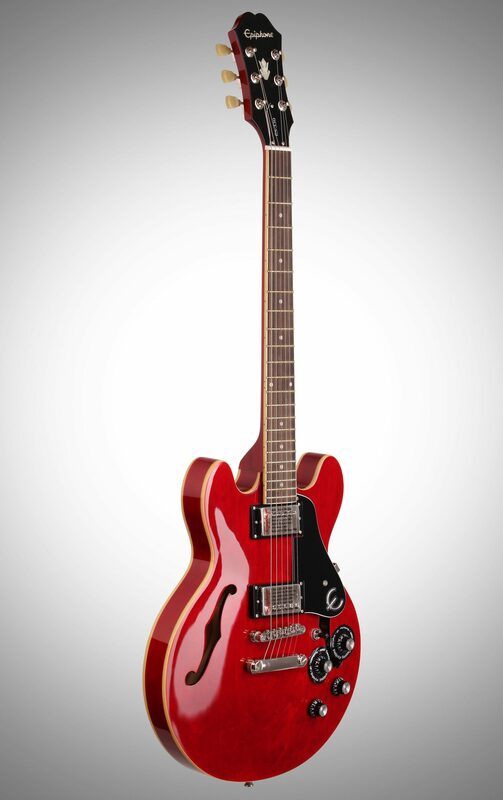 Epiphone introduces the much anticipated ES-339 -- an instrument with its roots planted firmly in the classic era that helped define the Epiphone and Gibson Kalamazoo factory as a leader in cutting edge instruments. Today, this semi-hollowbody from Epiphone turns back the clock while simultaneously rocketing the player-favorite into the future. Introduced in the late '50s, the ES series became an instant classic by bringing the feel of an archtop to players who had wholly embraced solid body classics like the Les Paul. 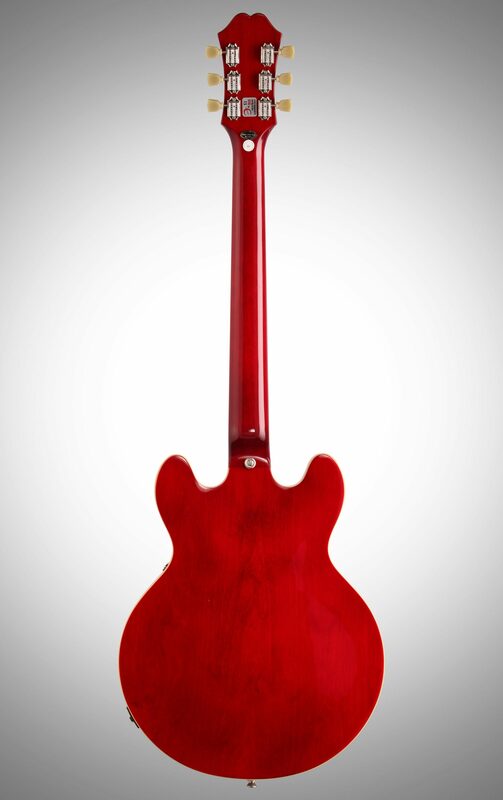 The first in the ES series, the ES-335 became an instant success but for many players, its body was slightly too big. The ES-339 is the perfect remedy, featuring body dimensions that are smaller while still retaining the bell-like tones of all ES series guitars as well as the classic shape. 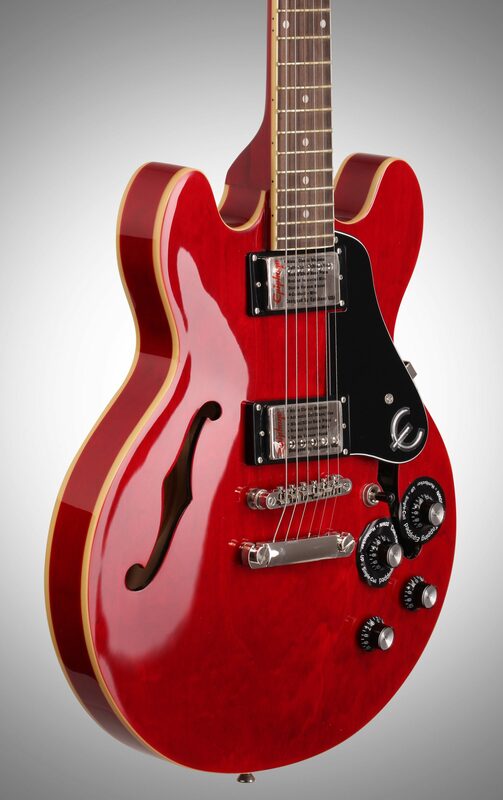 The Epiphone ES-339 features a reduced size laminated Maple body with a solid center block. The SlimTaper "D" profile 24.75 inch Mahogany neck has 22 jumbo frets with a 1-11/16 inch nut and is hand-set and glued with a Mortise and Tenon neck joint with Titebond Glue. The 12 inch radius neck also features a pau ferro fingerboard with mother-of-pearl inlays, much like the original. Single ply cream binding on the fingerboard and body completes the classic look and looks superb on all the ES-339's finishes which include Cherry, Ebony, Natural, and Vintage Sunburst. The Epiphone ES-339 PRO pickups are set up to provide a huge variety of sound choices for the modern guitarist. For those who are used to carrying two guitars to gigs, the ES-339 PRO will solve that problem once and for all. Now, you can play any gig and any style with just one guitar--the Epiphone ES-339 PRO. The ES-339 PRO's fabulous Alnico Classic PRO humbucker pickups can make an infinite variety of tones thanks to the 3-way Pickup Selector which features a push/pull coil tap. The neck pickup volume pot and the bridge pickup volume pot each feature an easy-touch push/pull coil tap, making it easy to switch back and forth between single coil or classic humbucker sounds. The all-metal heavy duty Epiphone 1/4" output jack gives you a lifetime of worry-free use. The classic Epiphone hardware you've come to know and trust makes the ES-339 a must-have guitar. 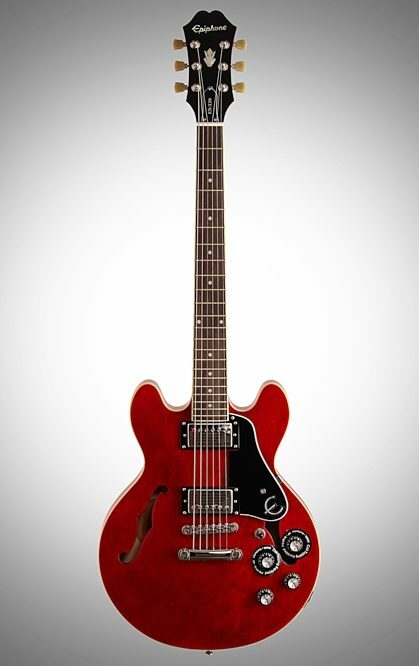 Featuring Epiphone's LockTone Tune-o-matic bridge and LockTone Stopbar tailpiece, the ES-339 sports all nickel hardware along with Wilkinson 14:1 ratio Vintage machine heads with Tombstone buttons. Like every Epiphone, the ES 339 features their Limited Lifetime warranty backed by world famous 24/7/365 day Gibson Customer Service. If you want a versatile, professional instrument designed for live performance or studio and capable of crunch, rock, jazz, country, and stinging blues, come back home to the Epiphone ES-339! Overall: Epiphone Quality for 1/4 of the price of the Gibson 339!!! Finish is great,neck is very smooth and fast,pickups sound quality is very good, the smaller body style makes it a lighter guitar for the working player,but still has the difference of sound quality as the 335. Jazz,Blues,Rock,Pop..this guitar can do it! Great Band for Your Bucks! "Forget the Price-Great Guitar PERIOD!" Overall: So I just spend an hour with my new Cherry 339 Pro. Absolutely Perfect! I guess I would rate myself as a mid to high intermediate players (because there are just so many unbelievable players out there.) I'm a senior guy, playing since I was a kid. Played in bands in Sacramento in my teens and early twenties-again about 12 years ago playing in casinos, private gigs, and for awhile as the House Band at a local brewery. I've owned Gibson, PRS, Fenders, probably 30 guitars over the years. Now days I do almost exclusively Home Studio stuff. This guitar is just amazing! Looks great, plays beautifully, and has an unlimited range of sound, with the coil taps. I play primarily blues, but also love Santana style play, as well as original composition. I'm playing through a Bugera small studio tube amp. Highly recommend this incredible guitar for a wide range of players and music types. If you've been thinking about it-Just do it. You won't be sorry.